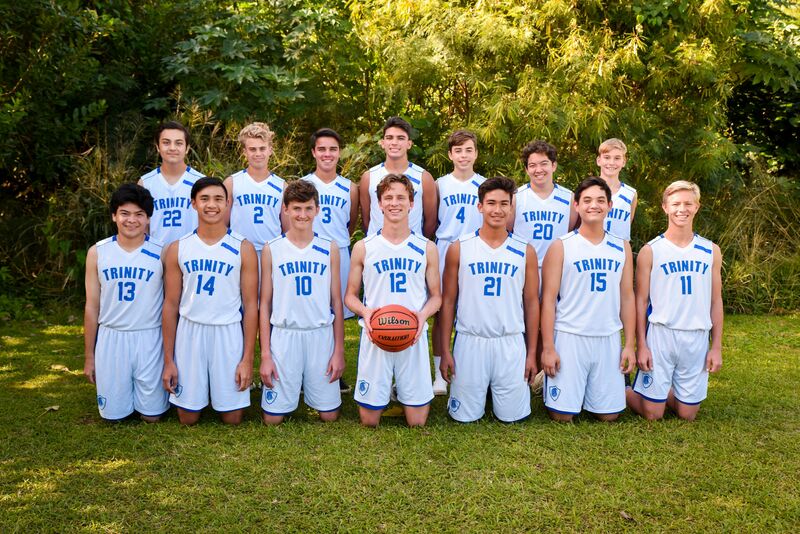 The TCS Varsity basketball season has been a fantastic journey for both teams. Each is currently sitting in second place as we head into our regular season finally game this Saturday night. 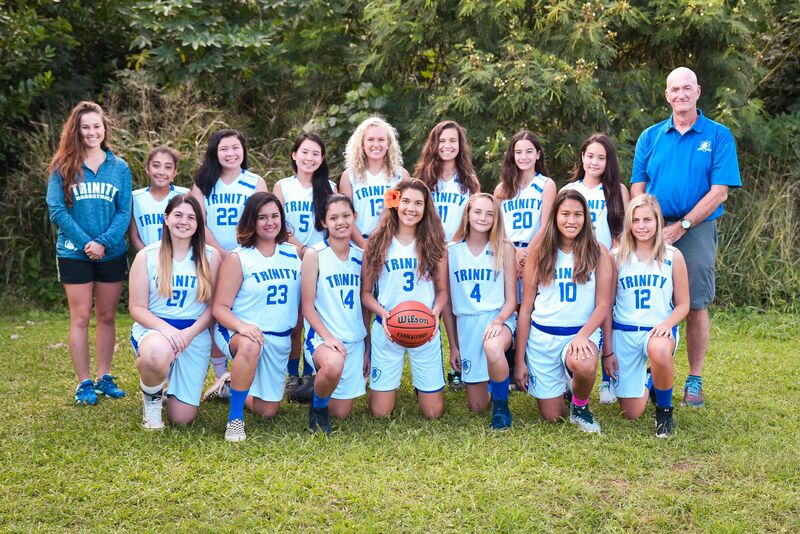 We play Friendship Christian School at the Kailua District Park gym (Girls 5:30 and Boys 6:45) and could use your help cheering them on. It's also Senior Night so we'll have a recognition gathering after the game, in the courtyard in front of the gym once the Boy's game is finished and we've cleared the gym. The Lions are playing exciting basketball and both teams bring an aggressive style to the court so come enjoy their final games as they prepare for the single elimination tournament starting the following week. 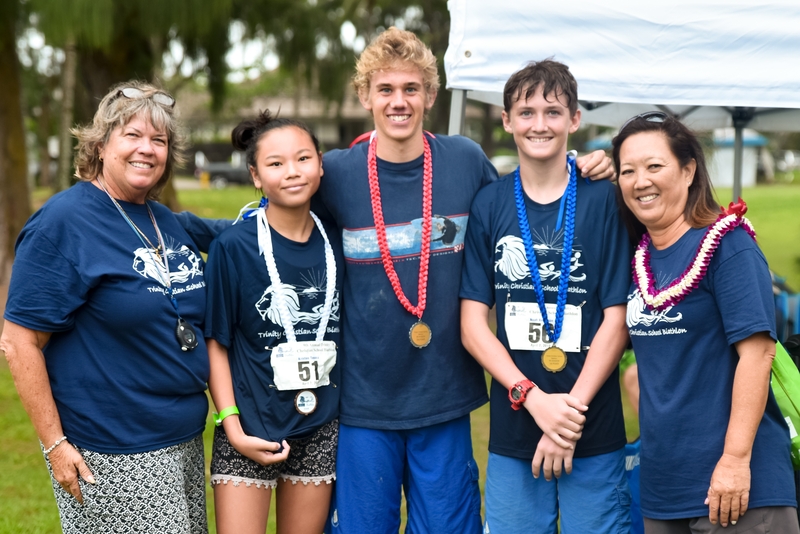 10th Annual Biathlon: Volunteer Sign Ups! It's never too early to start thinking about this year's TCS Biathlon! Can you believe that this year will be our tenth? 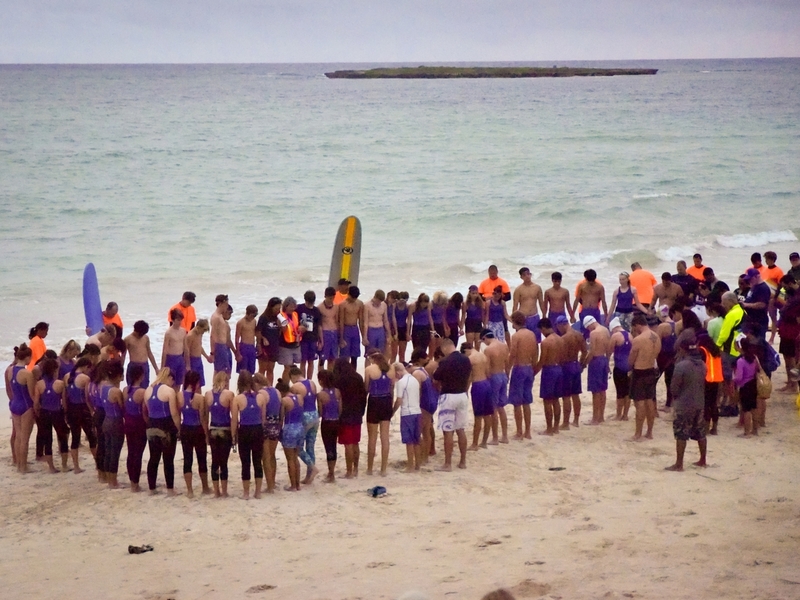 Join us bright and early on Saturday, April 6, 2019, 5:30am, at Kailua Beach to cheer on our runners and swimmers, or participate yourself! If you'd like to volunteer or register for Heat #2, fill out our form here. 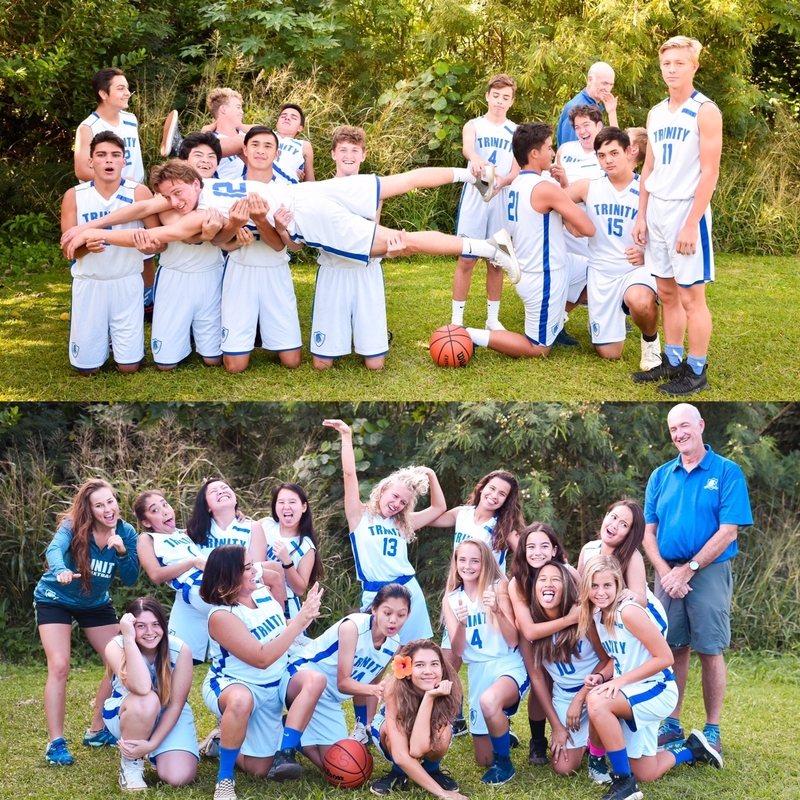 Written by: Coach Chong, Photos by students Kaley '20 and Jamie '20. 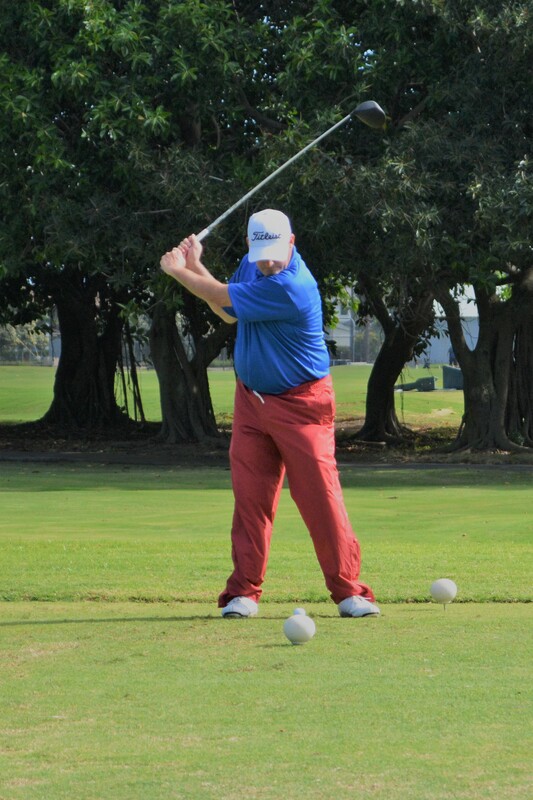 What is the recipe for a golf tournament to benefit the Trinity Christian School athletic department? 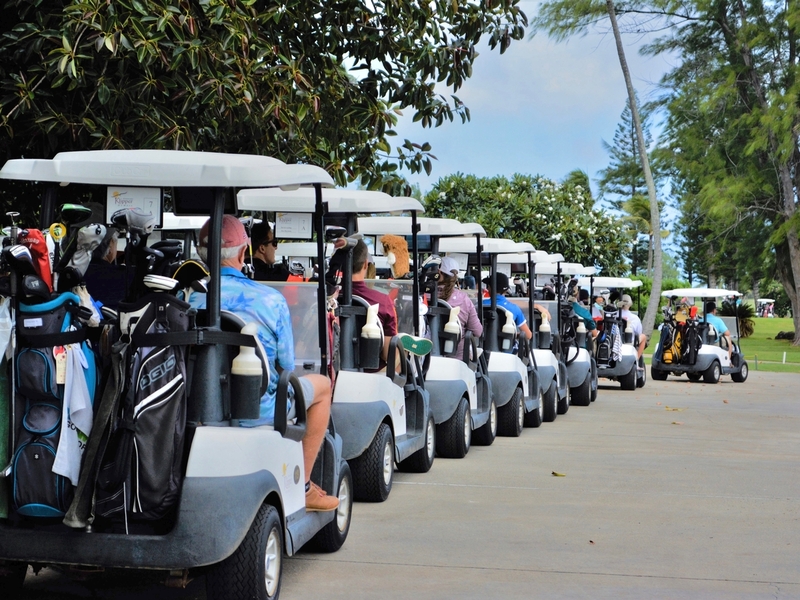 4 hole-in-one prizes, including a 2019 Honda Civic, plus more than 100 other prizes from various supporting companies, organizations and individuals. 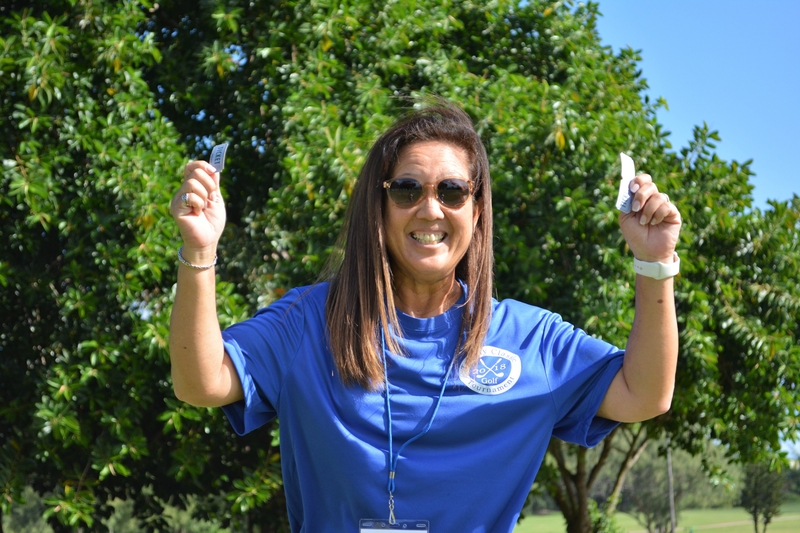 112 golfers on 28 teams in 56 golf carts playing one of the most scenic golf courses in the U.S.
A committee of 9 persevering parent volunteers with a vision, who dedicated hundreds of hours over 13 months seeking team entries, sponsors, donors, and prizes. 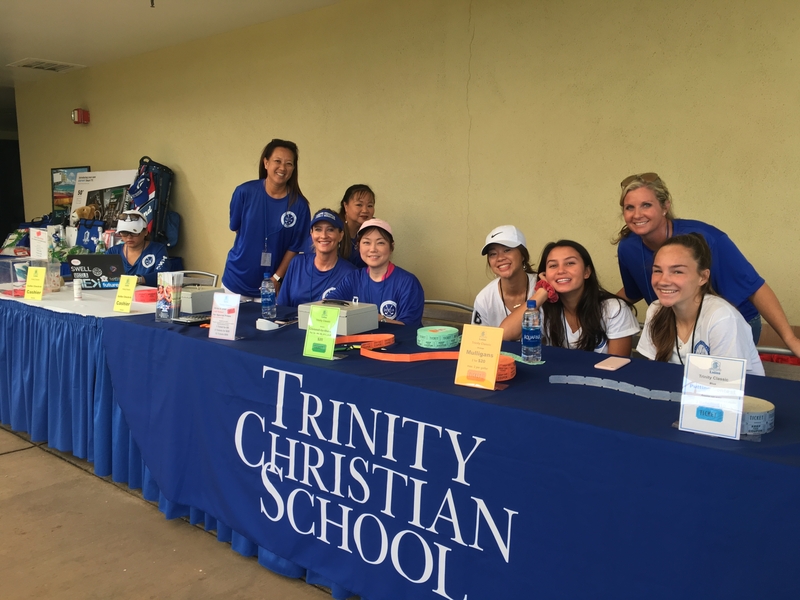 The TCS athletic department and its student athletes extend a big MAHALO to the sponsors, golfers, and volunteers who made the Inaugural Trinity Classic Golf Tournament possible. 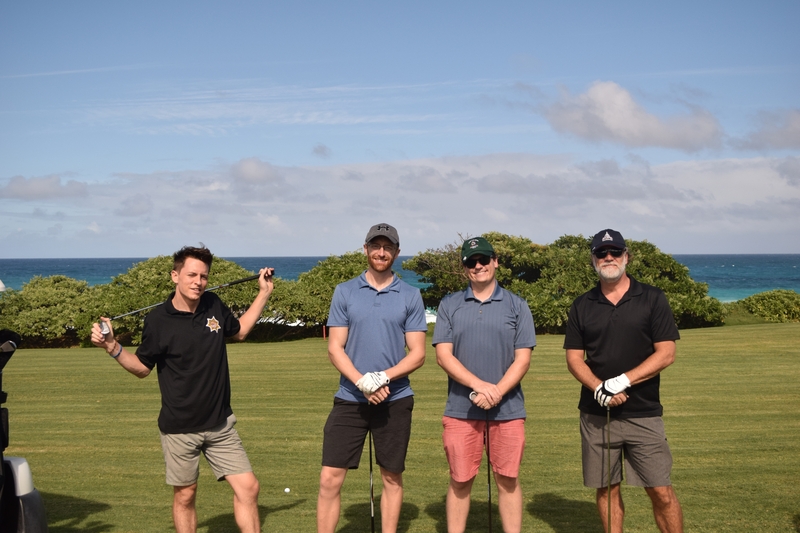 Although no one won any of the hole-in-one prizes, all the players and volunteers enjoyed the camaraderie at the event, which was held November 21 at the Klipper Golf Course at Kaneohe Bay. The event raised approximately $15,000, after expenses, for our TCS athletic department. Parent Gregorio Tiburcio as a last-minute sub who rented golf clubs from the golf shop just minutes before the shotgun start. Prayer before the shotgun and the awards banquet by Pastor Todd Capen. 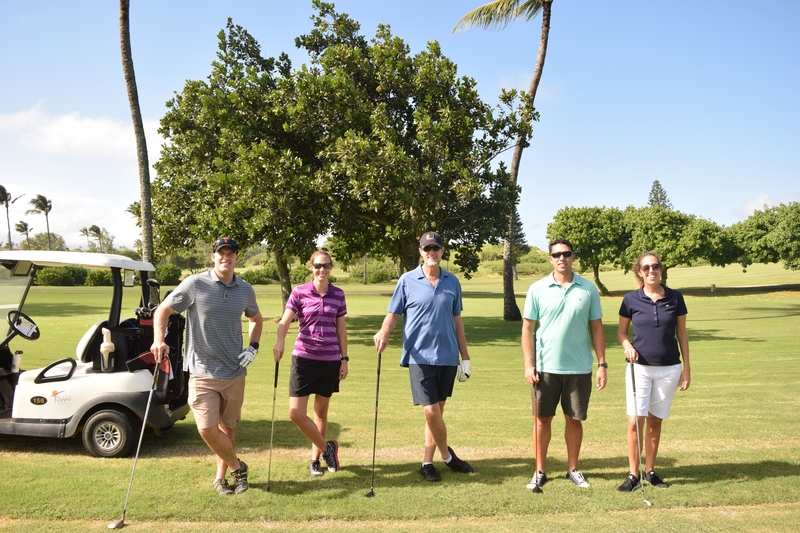 TCS Business Manager Corinne Alonzo for winning the incentive prize for a round of golf for three at O‘ahu Country Club. 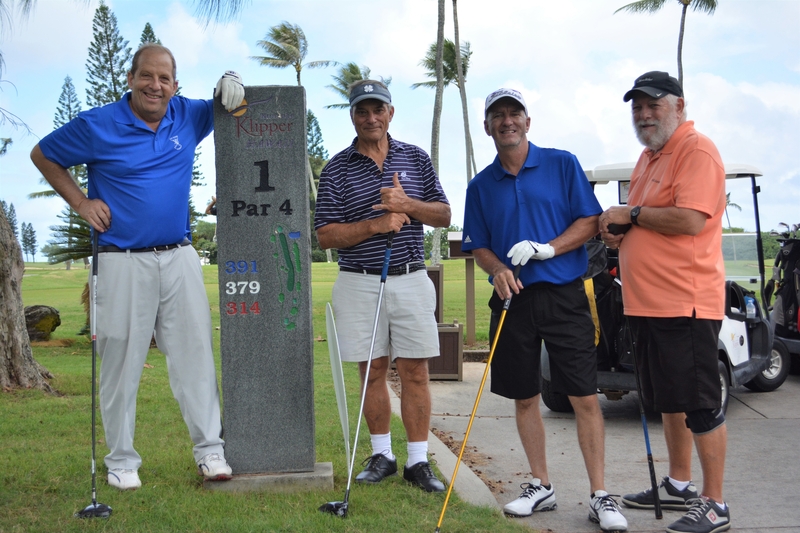 The TCS Faculty team winning four rounds of golf at Mililani Golf Course. The team consisted of Mark Brians, Eric Fugitt, Joshua McCroskey, and Ben Moore, and were sponsored by Hensel Phelps. In December, the committee will announce the date and the location for the 2019 Trinity Classic Golf Tournament, which will feature more contests and more prizes. Stay tuned to the Trinity Tabula for details. 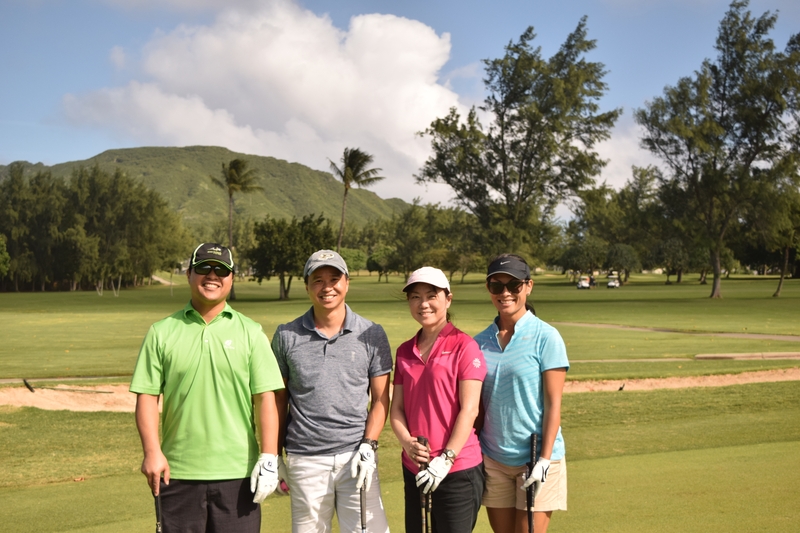 We’d like to encourage anybody from the TCS ‘Ohana to join the golf tournament committee. Several of the current committee members are parents of graduating seniors and will be cycling off the committee in the next few weeks. If you’re interested in volunteering, please email golfevent@tcskailua.net. We apologize for any inadvertent omissions. 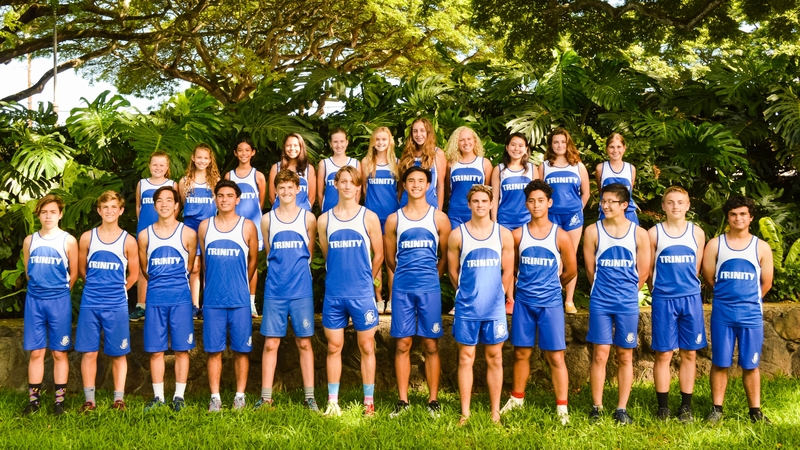 The Cross Country Team finished our season on October 19. The 6th grade girls competed at King Intermediate School amid a deluge of rain! They ran well, splashing through puddles and up and down hills of flowing water. Bella Kirschner and Melia Castillejos had their fastest races of the season! 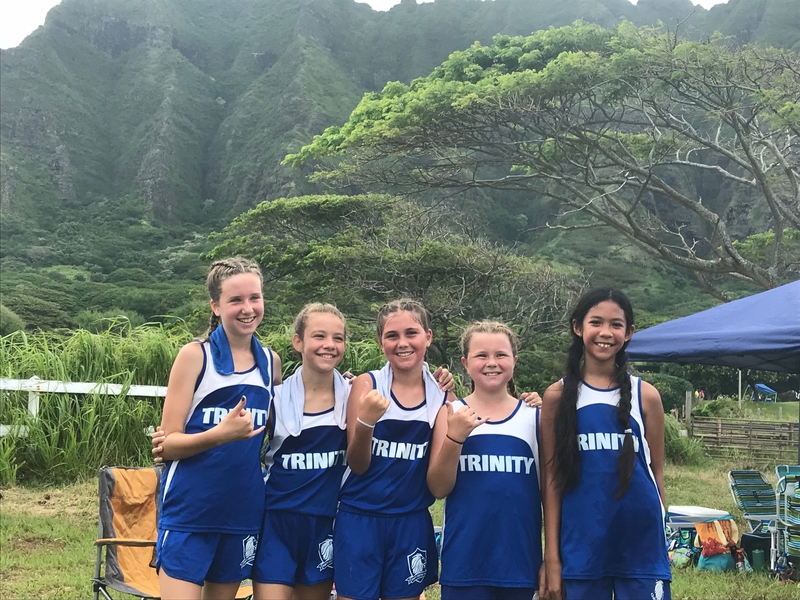 Backing up, to start fall break, the 6th grade girls left school a little early to compete at the ‘Iolani Intermediate Invitational at Kapiolani Park. It was a hot day, and there is very little shade there. They all ran hard and each of them beat their previous time by 1-2 minutes! There is a nice learning curve in racing and it showed in their second race. 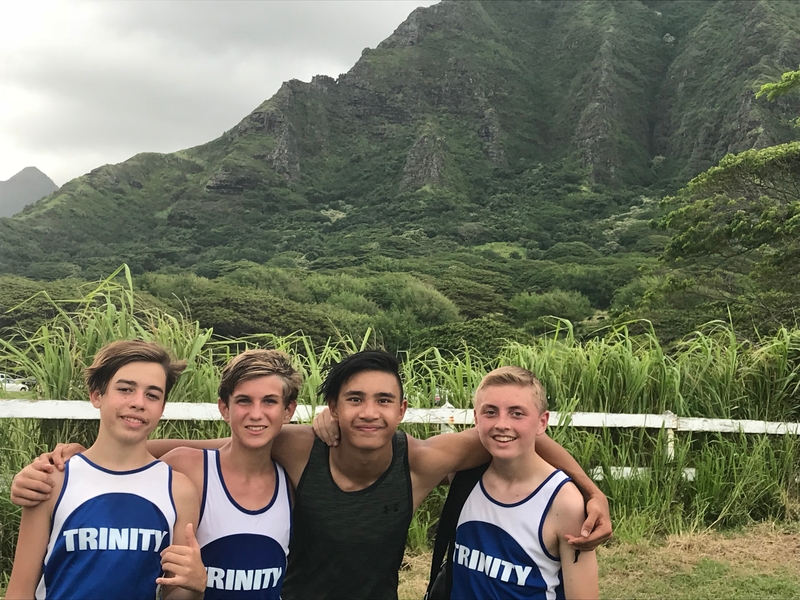 Near the end of fall break, the high schoolers (minus the three seniors on the Grand Tour) had their last race at the Punahou Invitational. We had a JV boys group, and full girls and boys varsity teams. One of our new runners, Aiden Dolbeck, learned a lot from his first race the month before and ran a really smart race. Jason Aviles and Jamie Sagami ran this race for the fourth time, and Jason beat the hills this year! The coaches were proud to see the girls and boys running together in packs for part of the race. They are really maturing from individual runners to teams. 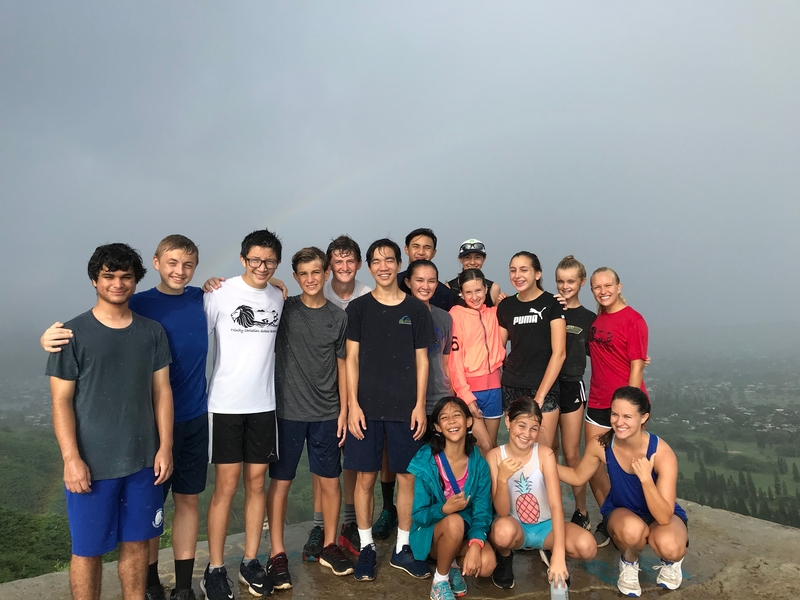 It was another hot day, and they all had to run up the worst hill of the season twice, but they encouraged others along the way and even had fun doing it! Over fall break, the team and some family members enjoyed hiking the Lanikai Pillboxes. We closed our season with a pool and pizza party at Auntie Mikie’s pool. Mahalo, Auntie Mikie! 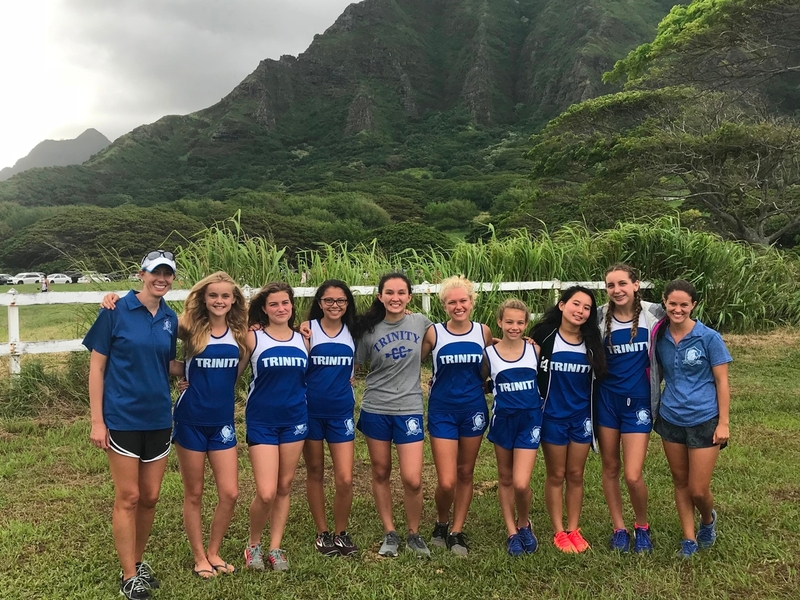 As one of the runners wrote to me, “We didn’t win any trophies, but you helped us push ourselves to do our best.” As coaches, we are very proud of the effort and sacrifices all the runners made this season, and we love running with you! Great job, team! 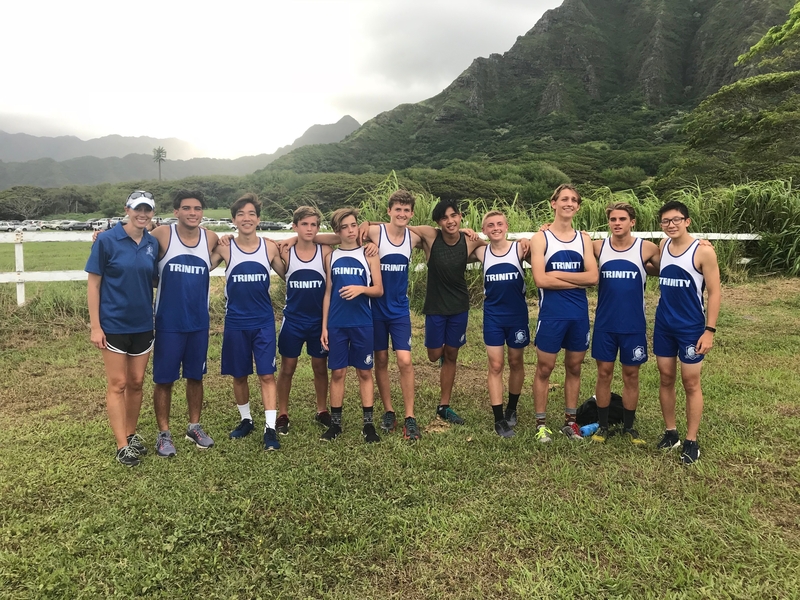 The Cross Country Team had its first race last Saturday at Kualoa Ranch. We expected muddy conditions after the week of TS Olivia, but the course was in good shape. We were also blessed by overcast skies. Trinity had runners in four races. The 6th grade girls started off our day with their first two-mile race. Maggie Reid, Hannah Morgado, Lucianna Snyder, Melia Castillejos, and Bella Kirschner had a great race! The coaches were impressed by their perseverance and encouragement of each other. Everyone else ran a three-mile course, which included two treks up a significant hill. The high school girls ran next and I received the best compliment about them while waiting at the finish. One of the race volunteers said, “I don’t know what it is, but all your girls come in smiling.” I told him, “It’s God!” It was great to see them living out Nehemiah 8:10b: The joy of the Lord is your strength. All four girls who ran this race last year improved their times, some by a minute or more! Teagan Swoish led the girls in her first race with a great steady pace. We have enough boys on the team to have teams in both the JV and Varsity races. They were all up against some intense competition. (The winner ran under 5 minute miles!) They ran with heart and came out with some great times themselves! The coaches had a good time running between places to cheer them on, too. Three boys moved up from the two-mile course to the three-mile course this year. Two of those 9th graders led each team, Noah Anderson and Luke Dart. Two of the boys improved their times from last year—Greg Tiburcio by a minute and a half! 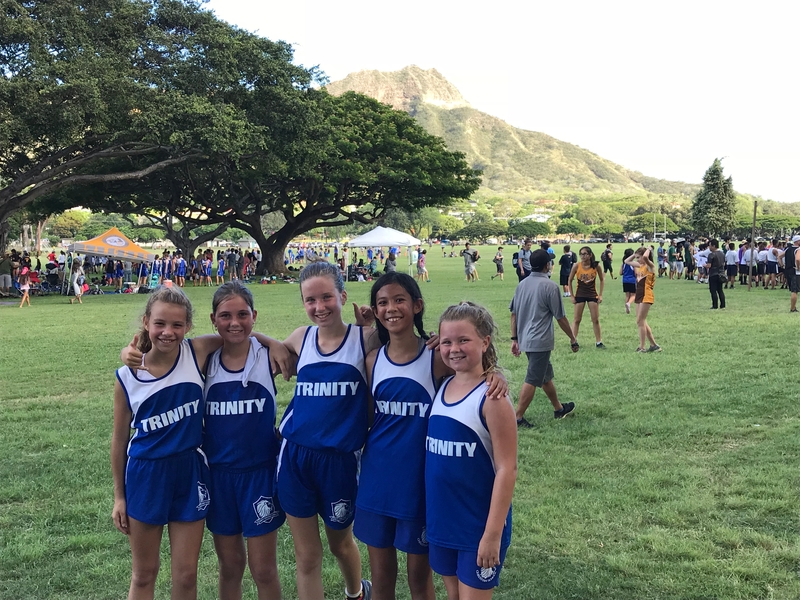 We are really proud of all the runners and are looking forward to our next races at Kapiolani Park for the 6th graders and Kahuku Golf Course for the high schoolers.